(Newser) – A 16-year-old high school football player in Indiana who didn't want to become a father murdered his pregnant cheerleader girlfriend and left her body in a dumpster, police say. 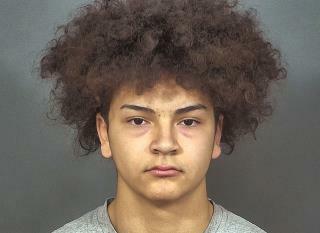 According to court documents seen by the Indianapolis Star, Aaron Trejo confessed to the murder of 17-year-old Breana Rouhselang, saying he stabbed her because he was angry that she had waited so long to tell him about the pregnancy that it was too late for an abortion. The documents state that Trejo told police: "I took action ... I took her life." Rouhselang, who was six months pregnant, was found dead Sunday morning near her home in Mishawaka, north of Indianapolis. * tsk * Such a nice-looking boy. How could anyone accuse him of doing such an awful thing? Oh what a big shock, a GoFundMe Campaign.